Electronic government is one of the strategic innovations which have become a powerful agent of change for developing better government information and services and supporting the modernization of government's operations. This paper investigates a remarkable e-government initiative represented by the adoption process of the Extensible Business Reporting Language (XBRL) at Companies House (CH) in the United Kingdom. Based on the application of Rogers' framework, the research identifies CH's motivation, vision and process to use XBRL to achieve efficiency and produce better quality data to enhance and streamline the electronic filing process. The novelty of this research is based on the usage of a well-established innovation adoption framework to examine XBRL adoption as a process –rather than a product- innovation that remains to be an under-researched area. This research provides valuable implications and conclusions that can help decision makers and IT experts in government agencies to devise meaningful strategic plans to adopt future e-government initiatives and develop existing ones. 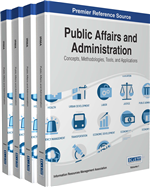 Electronic government initiatives are considered powerful mechanisms to improve the performance of the administrative and data processing tasks of government agencies (Kraemer & King, 2003). Governments are increasingly aware of the potential of the internet to improve their performance and facilitate the delivery of regulatory online information and services. Electronic government has emerged as a process which utilized internet reporting facilities to provide potential benefits for government agencies, including cost savings, improved communication and coordination among government authorities and increased government accountability (Heeks, 2006). Heeks also believes that the adoption of electronic government initiatives is not a simple process and cannot be undertaken over a short time period. The e-government adoption process governs the delivery of online or web-based regulatory services, where different components including technical infrastructure, organizational resources, business partnerships and other government entities interact and influence such a process. In addition, adopting electronic government initiatives requires a clear vision of the objective of these initiatives, effective planning and management. Electronic government should be therefore viewed as a process that leads to an end rather the desired end itself. This paper presents an in-depth case study that examines and analyzes the adoption process of an electronic government initiative at Companies House (CH) in the United Kingdom. The e-government adoption is represented by the adoption process of Extensible Business Reporting Language (XBRL) at CH. This study is one of few research studies in the electronic government literature that employs a well-established IT innovation adoption process framework to investigate a large-scale U.K.’s e-government initiative, as represented by “XBRL Project.” This research contributes to the XBRL and e-government literature by providing significant insights into several aspects of XBRL as an emerging technology that is now considered the backbone of CH’s electronic filing system. Another contribution of this research is that it could further assist policy makers and information technology specialists and implementers with adoption of e-government initiatives in general and XBRL in several national contexts. The remainder of the paper is organized as follows: the research motivation and gap is presented, followed by a discussion of the theoretical foundation with emphasis on Rogers’ adoption process (1983 and 1995). The research approach and methods are addressed. The case study of XBRL adoption process at CH is presented, followed by a discussion and analysis of each stage of this process based on the empirical evidence. Research findings are presented and discussed. The last two sections address the research implications, recommendations and future research venues.